A beautiful three tiered hexagonal shaped wedding cake presented offset on a perspex stand. 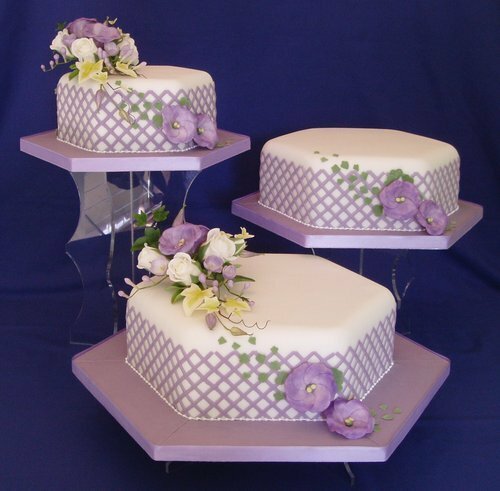 Delicate sprays of sugar flowers including Lisianthus, Freesias, and Roses sit on the top and bottom tiers. A delicate purple lattice frames the sides complementing the sprays and purple Lisianthus adds the finishing touch.